The new restaurant will open tomorrow. Fast food giant McDonald’s is set to open its new Leven drive-thru tomorrow. The restaurant on Riverside Road will be opening its doors to the public at 11am. According to McDonald’s, the new drive-thru has created 127 jobs for the area. Original plans for the new branch were submitted in February 2017. The project appeared to be on the brink later that year due to concerns over traffic safety. 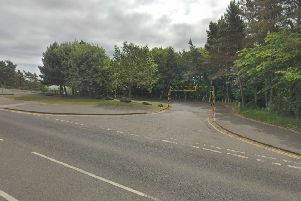 McDonald’s original plan had been to create a priority junction at the site of the old gas works on Riverside Road, but Fife Council insisted on a mini-roundabout, which would require fibre-optic cables to be relocated at a prohibitive cost of £250,000. But in December 2017 new plans were submitted, with a mini-roundabout outside the entrance to the retail park. They were approved in February 2018.